We have published our programme for the 2016 season, which can be found on our Programme page. Keep checking back for any updates as we head into our 40th year. 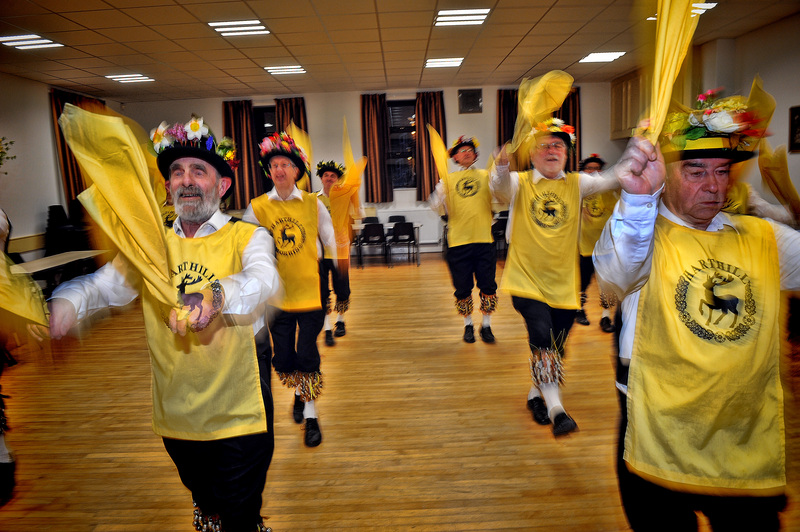 2016 marks Harthill Morris’ 40th year. As well as a special Day of Dance which will be held on 17th September (we’ll let you know more details as they become available), keep an eye out for various celebrations taking place throughout the year as well as a dedicated micro-site for the anniversary coming soon! Keep your eyes peeled if you’re in the Coal Aston, Dronfield and Holmesfield area on the evening of Saturday 19th December or in the Ridgeway, Ford, Eckington or Mosborough area at lunchtime on Sunday 20th of December, as the Harthill Tuppers ride again! We’ve added a ‘Meet the Side’ page which can be found under the ‘About Us’ tab in the menu bar above (or you can click here). The new page contains a gallery featuring a role call of all our members for your viewing delectation. Enjoy! Thanks to Keith for flagging the below picture up, taken from the Sandbach Day of Dance Facebook page. It’s even more incentive (as if you needed any!) to come along and join in the fun with us – we’re always looking for new members! We were delighted to once again be invited to the Buxton Day of Dance 2015 held (way back) on 18th of July hosted, as ever, by Chapel-en-le-Frith Morris Men. A selection of photos taken on the day can be found on our Flickr site and videos on our YouTube channel. Alternatively you can see a video playlist along with a programme from the day after the break. A couple (or 3) photos taken by Keith from our Thursday dance-out at Wortley Mens Club on 28th of May have (finally) been uploaded to our Flickr page. We are happy to finally announce the Netherlands 2015 page is now fully live! There you will find a write up on the week’s activities by Alan C, a slideshow featuring photos taken by Alan H. and Neil, and a YouTube video of a local news report featuring some of the dancing. Why not head over there now and take a look? You’ll find the page under the gallery tab above, or just click here. Recently the side headed to the Netherlands to meet up with Utrecht Morris. Soon we hope to bring you a page dedicated to the trip, including photos, video and a write-up of the trip by our own Alan C. The page will be accessible under the Gallery tab above.